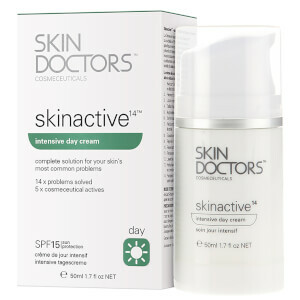 Repair and rehydrate your skin with Skin Doctors Skinactive 14 Intensive Day Cream. Designed to protect the life span of skin cells and encourage the natural regeneration of collagen, your skin will be left looking smoother and revitalised. 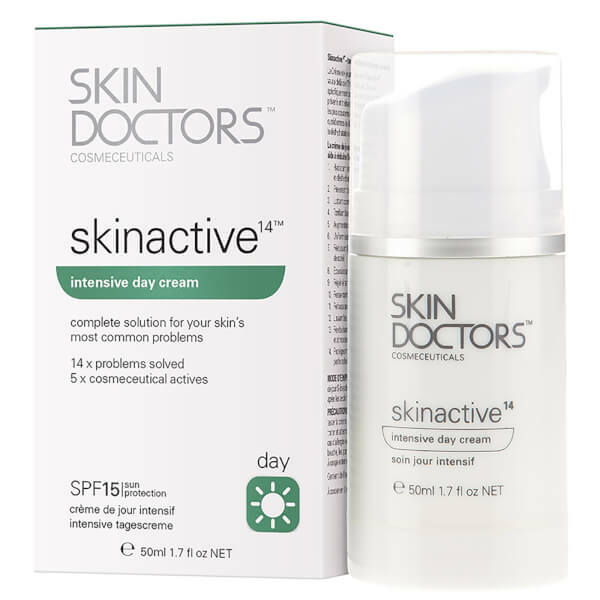 Suitable for all skin types, Skin Doctors Skinactive 14 Intensive Day Cream offers superior rehydration for those who wish to ‘step-up’ their anti-ageing routine, leaving wrinkles, uneven skin tone and dilated pores reduced as well as prevented from developing further. Containing SPF15, this rich moisturiser strengthens fragile skin and boosts radiance, leaving it revived and younger looking. Massage into clean skin every morning.